Artwork to be in 100% size to required graphic size, 150dpi, CMYK mode. Please note : The frame is overlaping 2cm on 4 edges of graphic panel, please keep important text & picture 3cm away from 4 edges. 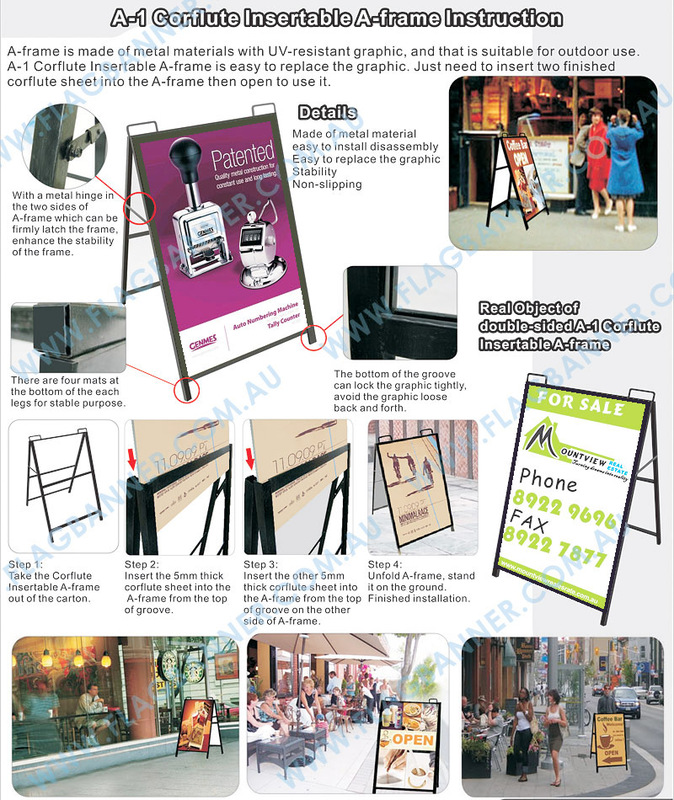 Corflute A frame is made of full metal frame with UV-Resistant Graphic. 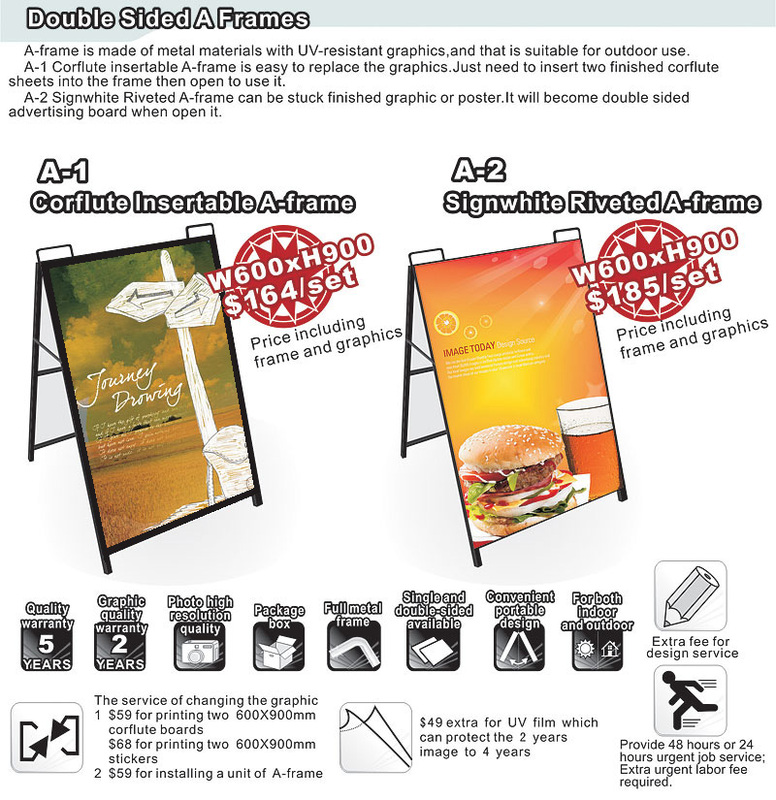 It's about 8kg and it's ideal for outdoor display. 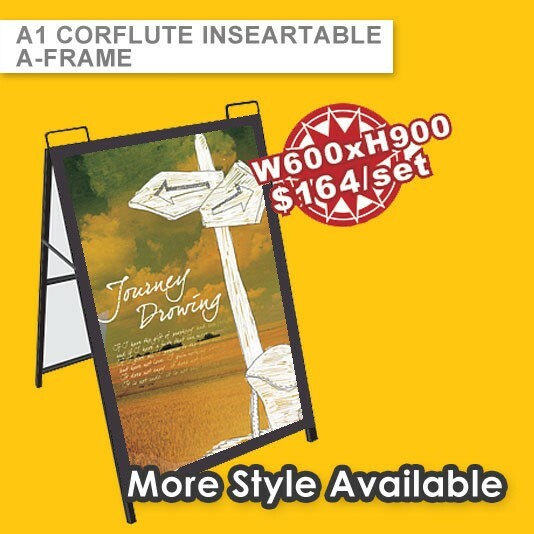 Corflute A frame is easy to replce the graphic, Just need to insert two finished corflute sheets and you are ready for your new advertising!